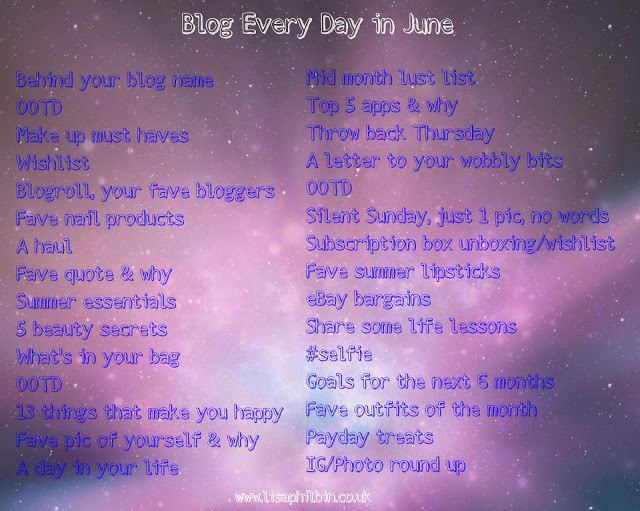 So, Lisa came up with the blogger challenge, Blog Every Day in June, and I thought – why not? I have a huge list of Blogs I Want/Need To Write in my phone and now is as good a time as any to crack on with that. There are quite a few of us taking part (clickable links at the end, so please make sure you click through!) and here is the core list of topics most of us are sort of aiming to cover. My aim is terrible, it’s very likely I will miss by quite some distance, but it is a starting point anyway.